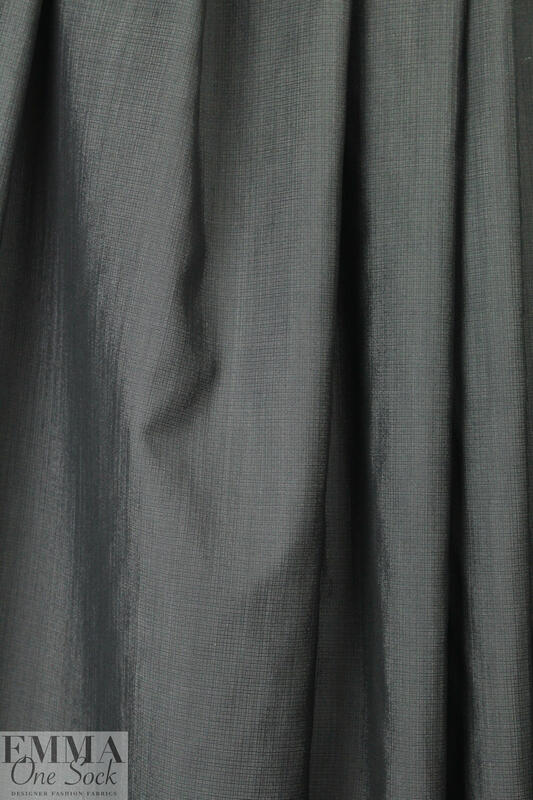 Just in with a new shipment from Italy, this is a woven selvage Va1entino virgin wool suiting that is a top quality classic. 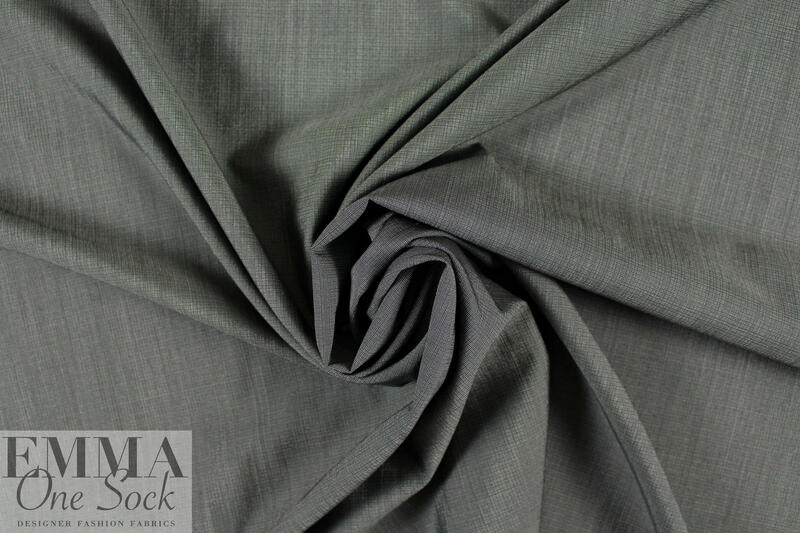 It is a lighter suiting weight with a soft drape that has a bit of crispness, and the color is a gunmetal gray with a micro-windowpane in the weave (PANTONE 18-0306..ish). 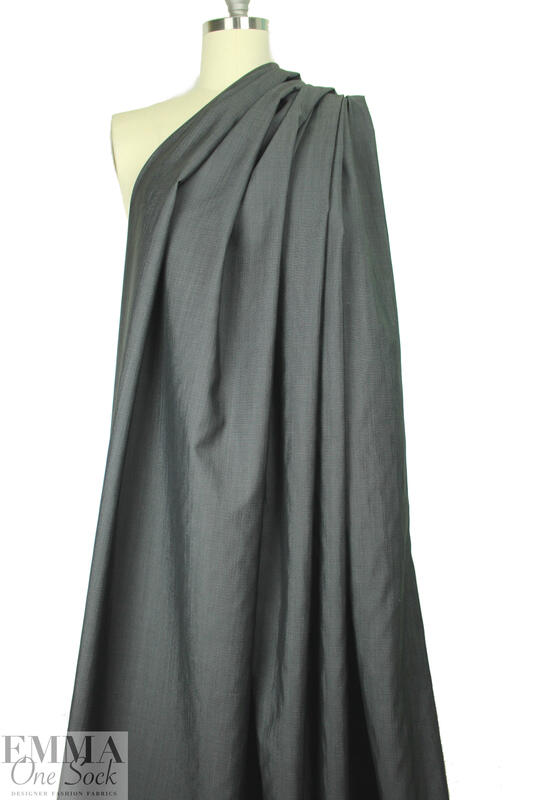 It is smooth and refined, timeless, gender-neutral, an all-season basic, wrinkle resistant, perfect for slacks, skirt, tailored suit, jacket, sheath dress, etc. Dry cleaning recommended.